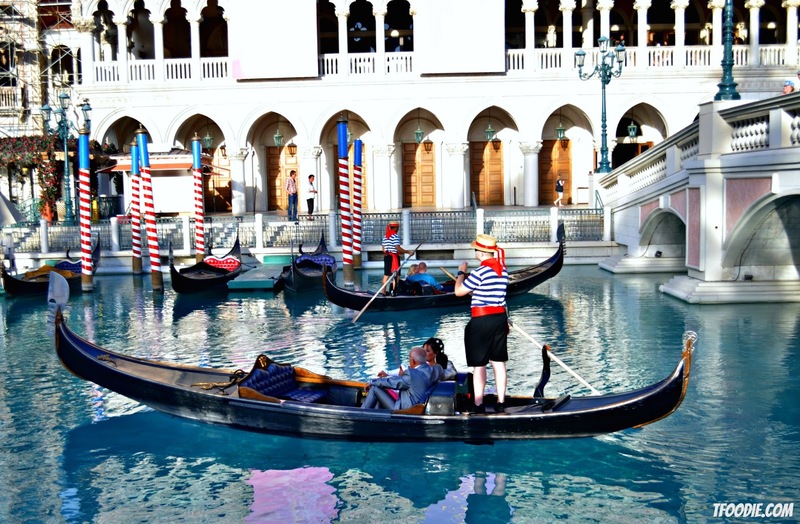 The traveling foodie: Getting married in Las Vegas? 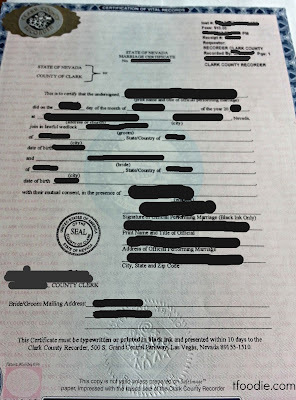 In order to get married in Nevada, you need a marriage license, which you can only get at the marriage bureau; so you have to go there (it's in Downtown Vegas, better to pre-register online to avoid queues) with you official ID and $60 ($65 if you're paying with credit card), making sure you have all the documents required and all your info is typed correctly. After you get your license, you have to look for a minister or a chapel to get married and give them the license. The license is valid for 6 months. I don't think many people wait until they get the license to organize their wedding, so you might want to book your venue or minister (plus photographer, reception, flowers and everything you need) in advance. 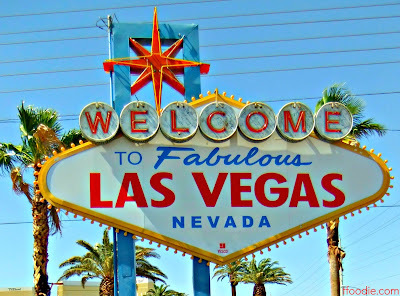 Las Vegas is a wedding destination like any other, people there get married in beautiful wedding gowns and have their receptions in great restaurants with lots of food and entertainment, like you would do in your hometown; of course there are also non-conventional types of weddings, with Elvis as your minister and burgers for the reception - you choose! 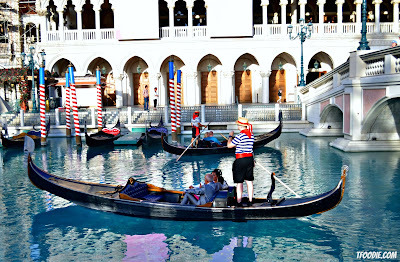 A licensed minister can marry you almost anywhere in the public areas of the city (in the street, in front of the Bellagio fountains, etc.) and surroundings (like the beautiful Valley of Fire); while hotels and chapels offer packages for all budgets (sometimes even with dining, photography, etc.). There are also wedding coordinators who can help you with all the planning, or you can save some money by doing it all by yourself. 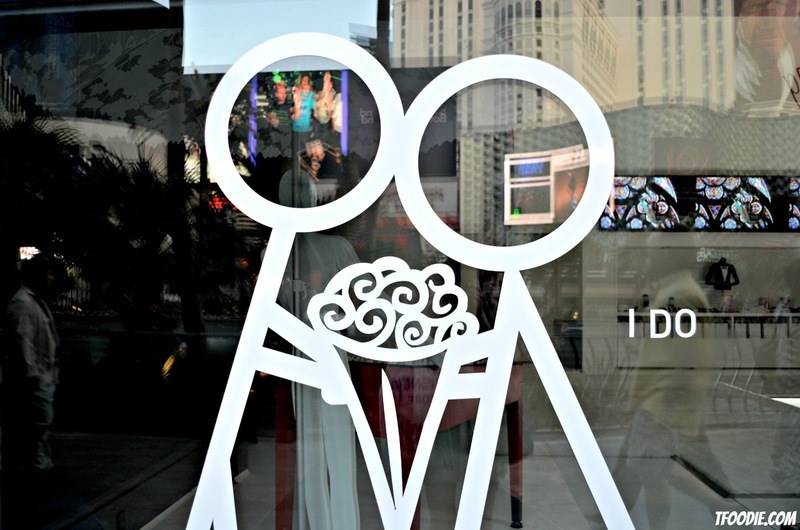 A great resource for wedding planning is The Knot (there's a forum with lots of great advise for Las Vegas weddings, from venues to photographers, reviews, ideas, etc.). 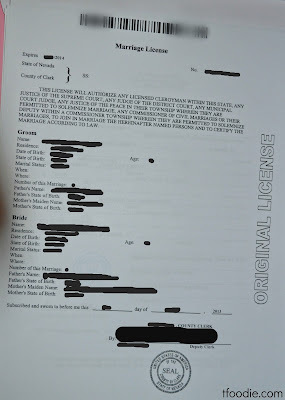 After the ceremony, you'll receive a "sourvenir" wedding certificate; your minister has up to 15 days to record the marriage (of course, you are legally married from the moment s/he pronounces you and signs the license). 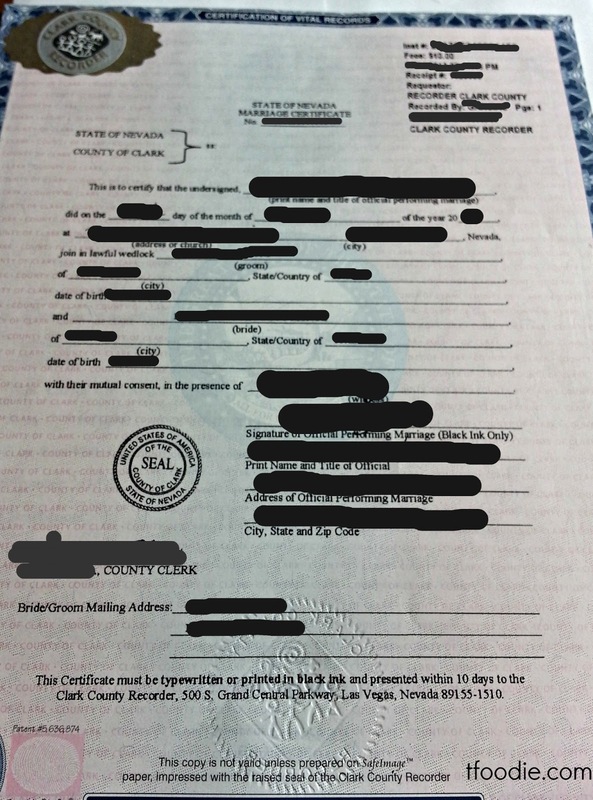 After the marriage is recorded, you can request (online or in person) a certified copy of your wedding certificate, each copy costs $15. If you are a US resident then this will be enough for you. But if you are a foreigner you might want to get an Apostille: after you get your certified copy (at the Recorders office in Las Vegas government center, if you go there in person or by post, if you ordered it online) you have to send it by mail -with a money order for $20 for each Apostille and an empty envelope with your address so they can send it back to you- to the Nevada Secretary of State. 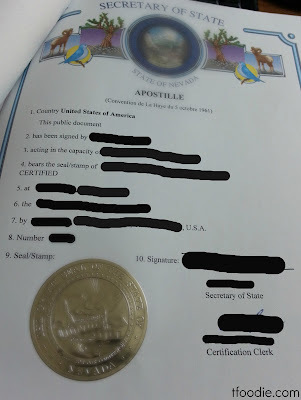 The Apostille makes the certificate valid in all countries which are parties to the Hague Convention. 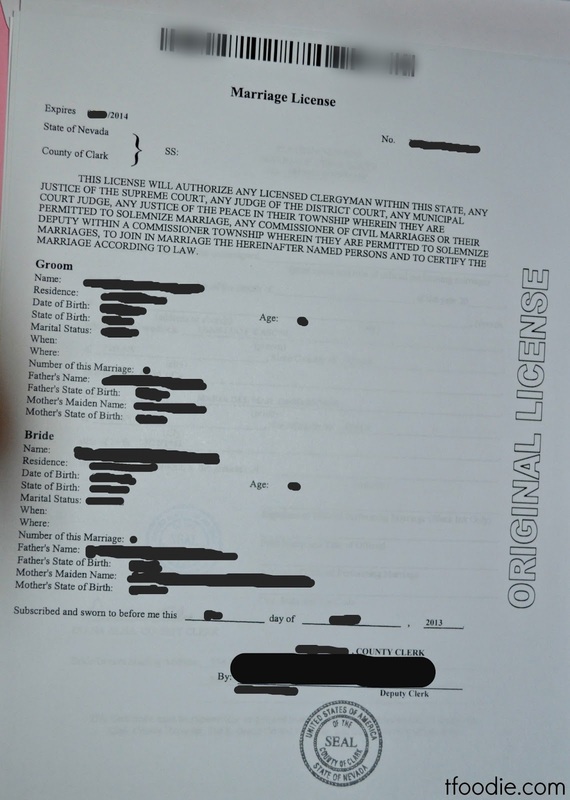 With it you can request your local authorities to validate the marriage. 5. Enjoy the married life and tell everyone about your fabulous wedding in fabulous Vegas!